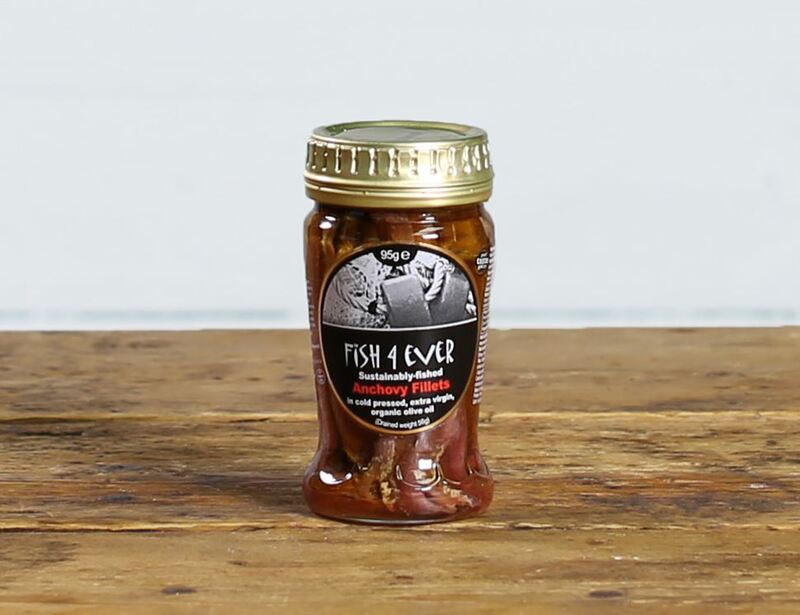 Beloved by Hugh Fearnley Whittingstall himself, these award winning anchovies are caught in the Southern Mediterranean sea by local boats hailing from Sicily and the South of Italy. The fillets very fine, not bony or harsh. Salted for 6 months in hand harvested Trapani sea salt then decanted into jars with organic, cold pressed olive oil. Anchovy fillets [FISH] 58%, extra virgin olive oil*, sea salt.